A sewer camera inspection is utilized prior to any service – for maintenance or repair – performed by our team at The Rooter Drain Experts Inc. After water has been shut off in your building, a small high-definition camera is threaded into your pipe. This definitively diagnoses the problem, as well as locates its source. This saves you and your technician from what can be an expensive guessing game, and also cuts down the time required to perform your repair. It is important to address these immediately, rather than ignoring them. Even what seems to be a simple clog could be deceptive, and lead to extreme problems such as raw sewage backup in your yard or basement, overflowing toilets, cracked pipes, or other issues. If you are considering the purchase of a new home, or relocating to a new business location in Saugus, order a camera inspection. Though home inspections are required by law to be performed prior to the sale of any home, an in-depth examination of the plumbing system is not included. A camera inspection could reveal an elderly plumbing system in need of immediate (and expensive) replacement, leaky fittings resulting in high water bills and waste, or abuse from previous owners in the form of kitchen grease build-up, large clogs, or other debris blocking the pipes. After just buying a new home, this is the last thing anyone wants to deal with – or pay for! Use your pipes only in the way they are meant to be used – a “burial at sea” of your pet goldfish, for instance, is not recommended. Don’t dispose of kitchen grease, baby wipes, food, or other items into your pipes. Place hair traps over your shower drains to prevent clogs, particularly if you have long hair. Know your pipes – find out when they were installed, what their gauge (carrying capacity) is, and what material they are made out of. All pipes have a natural lifespan and require replacement every few decades; knowing this will allow you to maintain your pipes properly based on their material and save you a nasty surprise when their lifespan ends. 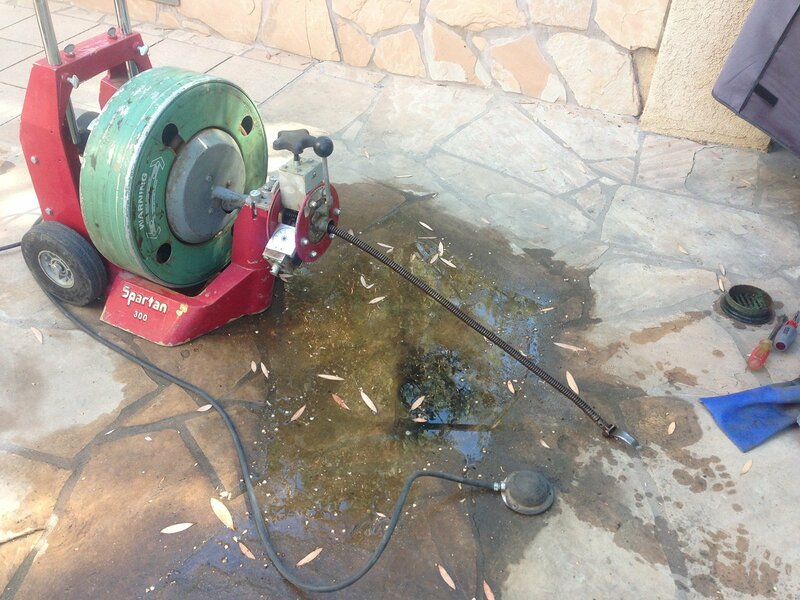 If you have trees in your yard and have been noticing the symptoms of a clogged pipe, don’t disregard it. Particularly with an older home (with correspondingly older, larger trees) tree roots can begin growing into pipes via small fissures or cracks. If ignored, they will eventually block and shatter the pipe. Whatever your requirements, The Rooter Drain Expert Inc. in Saugus is proud to deliver prompt, professional sewer camera inspections and other services. Contact us today and you won’t be disappointed!